Kodi doesn't have any built-in functionality for live TV, but that doesn't mean it can't be done. There are quite a few great ways to get live streaming TV on any device running the Kodi app. The legitimate free add-ons are an excellent place to start, and the process of installing them is dead simple. So, check those out first. Some add-ons require a subscription to the streaming service, while others are entirely free, like Cheddar, BBC iPlayer, Pluto.TV, and Comet. If you have a subscription to services like Playstation Vue, MLB TV, DAZN, Fox Sports Go, or USTV Now, you can find easy to use add-ons to install to Kodi. Begin by opening Kodi. 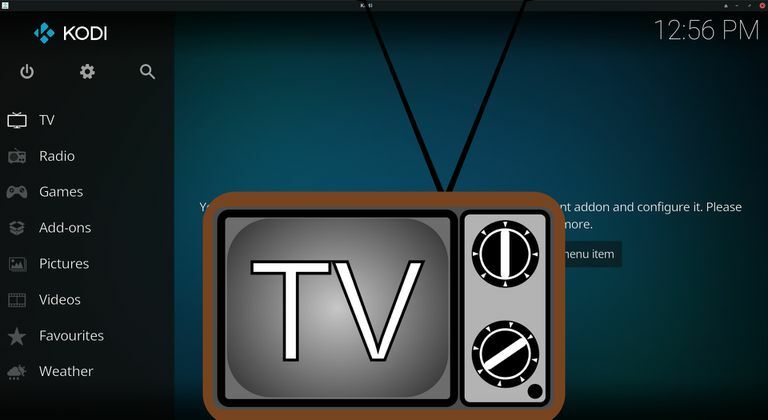 You'll arrive on the main menu of the Kodi interface. Look to the left and select Add-ons. Select Download at the bottom of the list of tabs, then scroll down and select Video add-ons. Scroll through the list until you find your desired add-on, then select it. Kodi will take you to a page devoted to your chosen add-on. At the bottom, select Dependencies to find out what additional software will be installed for the add-on to function properly. When you're done, select Cancel to back out. This is completely optional, but it's good practice to look at these to make sure there's nothing shady going on. Of course, the add-ons in the default Kodi repository are all evaluated and approved by the Kodi team, so they should all be trustworthy. Back on the add-on page, select Install to install your add-on. Kodi will show you the dependencies again. Select OK to continue. Kodi will download and install the add-on and all of the necessary dependencies. You'll see notifications when each is successfully installed, while the final message will let you know your add-on has been installed. Back out to the Kodi add-ons page. This time, select the Video add-ons tab. You'll see your newly downloaded add-on pop up in the main body of the window. Select it to launch it. Kodi will open your add-on. From there, you can navigate through and locate a TV stream to start watching! This method will only work if Google Chrome is available on your device, but since it's been ported to just about everything, there's a good chance it will. There is an add-on for Kodi that can launch your device's install of Google Chrome in kiosk mode, meaning there are no borders. It gives the effect of a native app, and combined with the web interface available for many streaming services, the result is often a slick and easy to navigate experience. We've covered the add-on in our complete guide to streaming on Kodi, so check that out if you already have a service like Sling TV that supports Chrome. There are a few ways to watch live TV via a PVR on Kodi. You can either connect to an existing PVR device that's networked in your home, or you can set up a TV Tuner card on your computer running Kodi. Either way, Kodi offers a set of PVR client add-ons that you can use to connect to your PVR and watch live TV directly through Kodi. These aren't recommended, for obvious reasons, but you should at least be aware of them. There are unofficial Kodi repositories offering access to all sorts of add-ons for watching pirated content online. Among these are live TV add-ons like Selfless, Chronos, and cCloud. If you do choose to go this route, remember to always connect through a VPN, and be sure to monitor add-on dependencies.